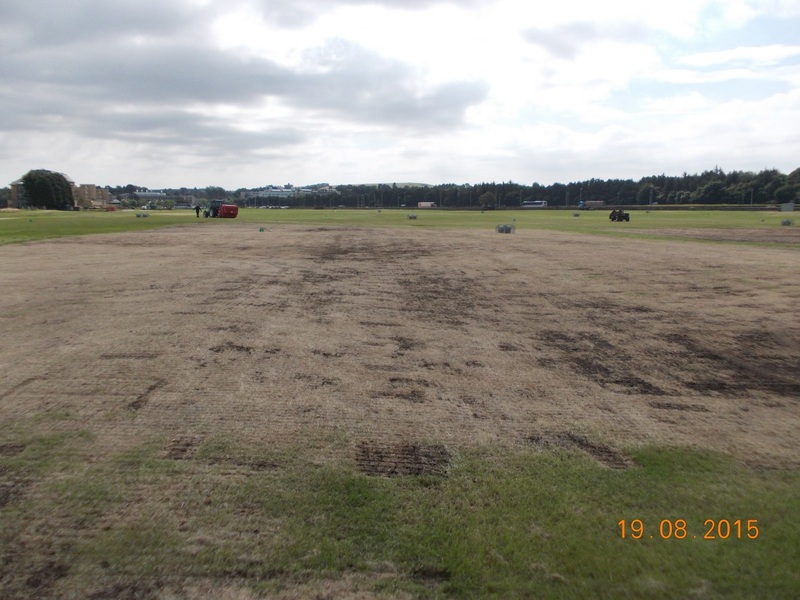 In the run up to and during the 144th Open Championship here in July, the Golf Academy practice range and the 9-hole Balgove Course were transformed into the tented village and contractors compound respectively. With this infrastructure in place for an extended period, naturally there was some renovation work required to get the facilities fully operational again. 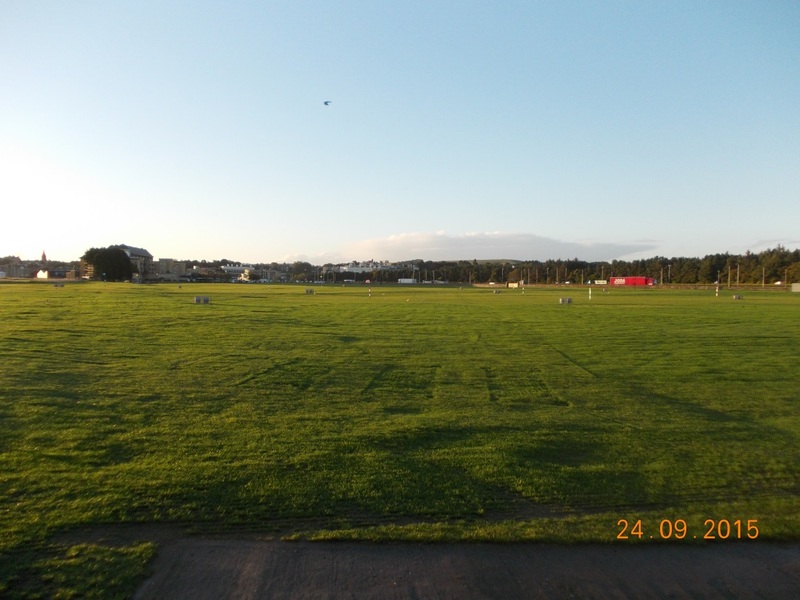 In mid-August we began the renovation to the Golf Academy practice range when the area became completely clear of infrastructure. Once all of the equipment and temporary buildings were removed from site, we walked the area picking any visible debris left behind. We then passed a magnet over each area two or three times to lift any metal, especially screws as these could potentially cause punctures to our greenkeeping vehicles. After cutting these areas down and lifting the grass debris we followed up with double or triple pass with drill seeders. The seed we are using is a regenerating perennial ryegrass which germinates and fills in extremely fast – ideal for our needs in encouraging a quick recovery. 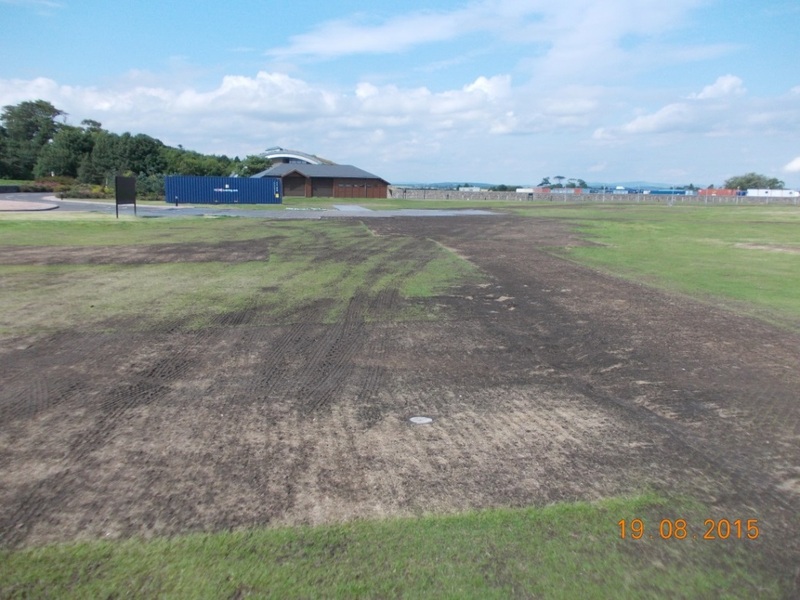 This was also a sensible alternative to turfing large areas which would’ve been much more labour intensive and delayed the opening of the site for normal operations. The results speak for themselves! 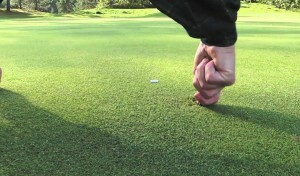 With plenty of water and perfect temperatures, the seed was through and standing tall within seven days. 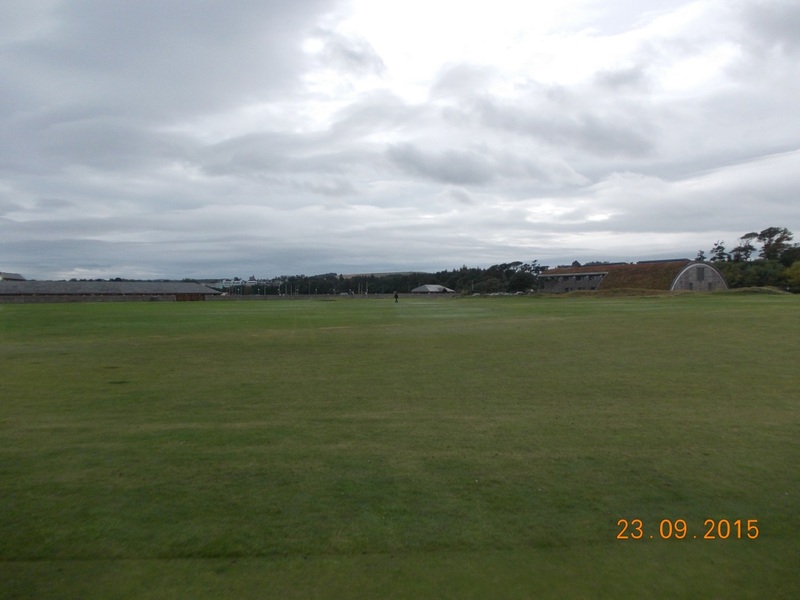 The pictures below were taken just over a month apart with the Golf Academy fully operational again by 22 August. 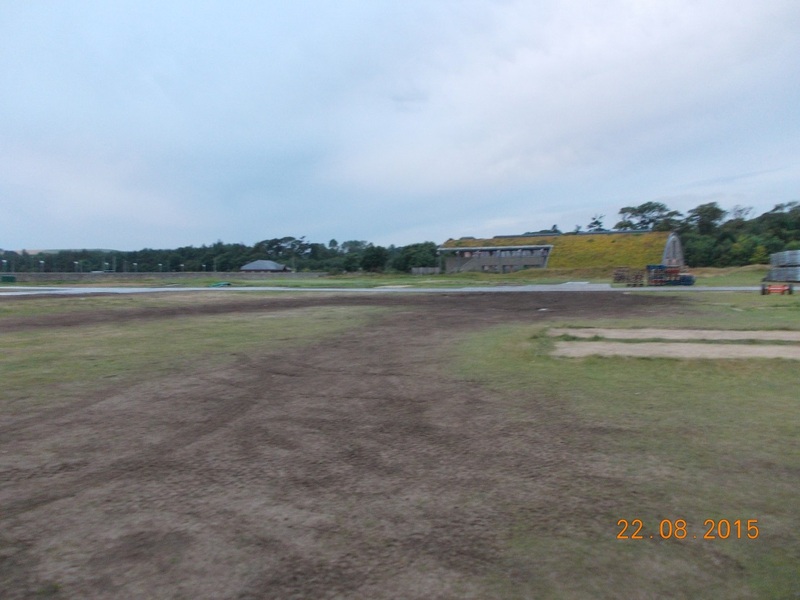 We were faced with a slightly different task on the Balgove Course due to the amount of vehicle movement off trackway and the weather during the Championship itself played a part in leaving large areas of bare ground. 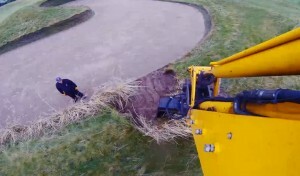 We followed the same process as the Golf Academy in terms of preparing the ground for seeding but opted for a finer seed mix of fescue/bent which is standard for our divoting and more in keeping with grasses present on this area. These take a little longer to establish, but again with plenty of water and the right temperatures, germination and recovery followed. 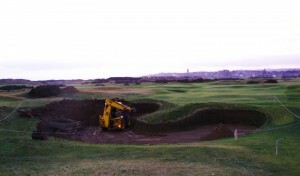 The below images of the 1st hole are taken just over one month apart and show some great progress to the playing surface. 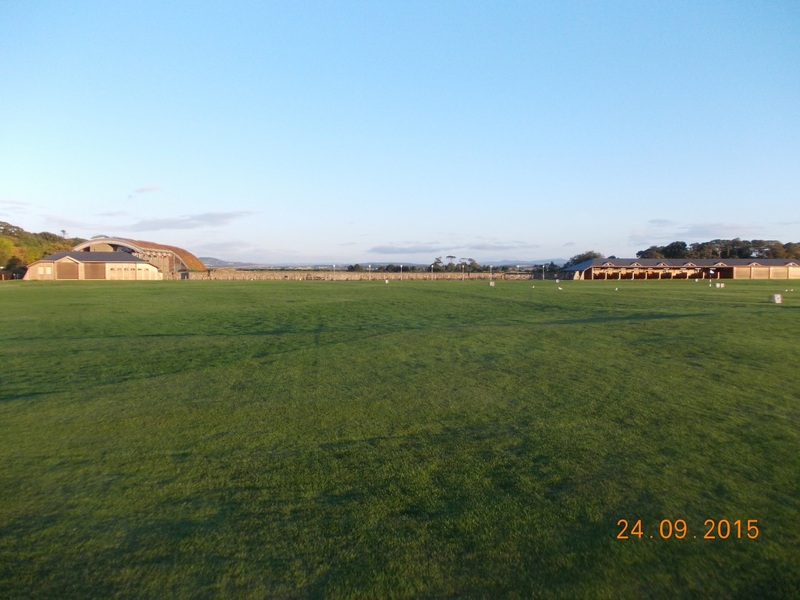 The contractors were fully clear of the Balgove by the 21st of August and the course reopened for the Wee Wonders tournament the following weekend (albeit playing off fairway mats on holes one and two). This has continued for time being to protect and assist with recovery.